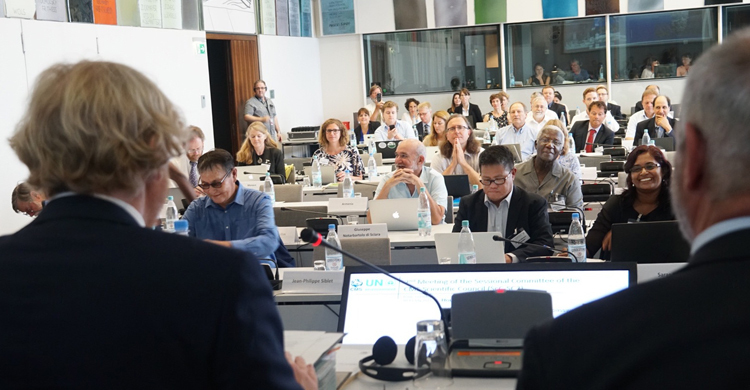 Bonn, 7 July 2017– the Second Meeting of the Sessional Committee of the CMS Scientific Council will be held at the UN Premises in Bonn from 10 to 13 July. The agenda of the meeting will be dominated by consideration of documents in advance of the 12th Meeting of the Conference of the Parties, being held in Manila in October. The Sessional Committee has the task of reviewing all COP documentation with a scientific component, including the proposals to add species to the CMS Appendices, all Resolutions dealing with conservation of migratory species and the mitigation of threats and the list of species already listed on the CMS Appendices that are candidates for Concerted Action under the Convention. For more information, please see the page on the CMS website dedicated to the Second Meeting of the Sessional Committee, where the agenda and all documents can be found.